The Google Data API is available as Java client library. With this library we can invoke Google Data services via simple Java calls. 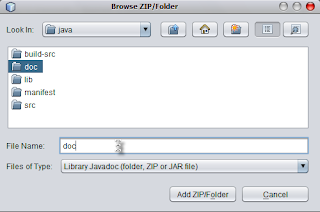 To add the Google Data Java Client libary to NetBeans we must first download the latest library from the Google Data API site. We must unpack the ZIP file to a directory on our local computer. 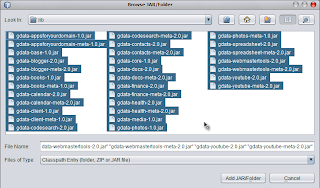 In NetBeans we go to Tools | Libraries to create a new Class library. 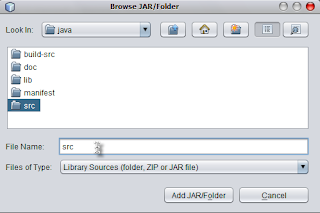 We must click on the New Library... button and Netbeans open a dialog window. 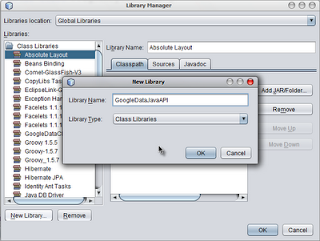 In this window we type in the name of our library: GoogleDataJavaAPI and leave the Library Type to Class Libraries.